With miles of woodland, heathland and free-roaming ponies, the New Forest is one of the most magical places to camp in southern England. In fact, as far back as its history goes, the New Forest has been a camping destination of sorts, with William the Conqueror himself riding down, feasting around campfires and staying under canvas here on his royal hunting parties. Today, wildlife stalking is weapon-free and generally done by bike, as campers seek out free roaming deer and New Forest ponies to snap on their smart phones. And, after a day of exploring, there's no better way to relax than with a crackling campfire and the sweet smell of a toasting marshmallow. 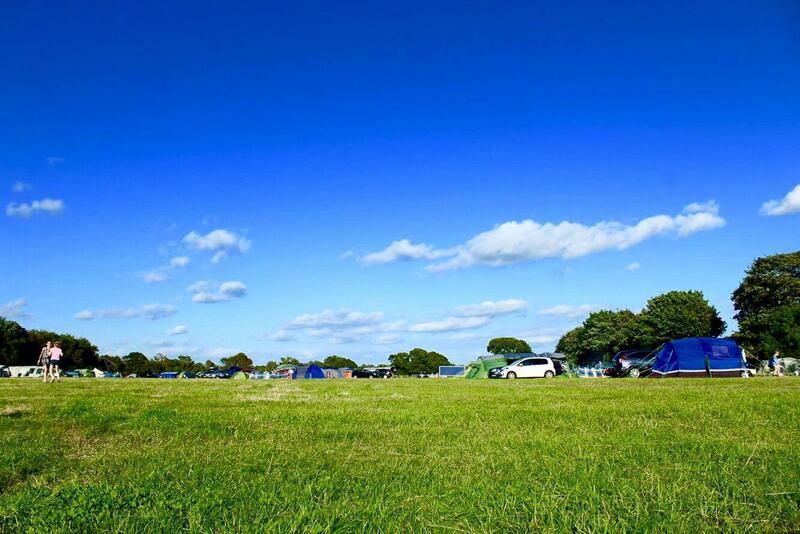 A new site offering old-fashioned, camping under canvas, Jubilee Camping is just a ten-minute drive from Fordingbridge and the western edge of the New Forest National Park. It’s a simple set up with grassy, off-grid pitches where campfires in off-ground fire pits are allowed. 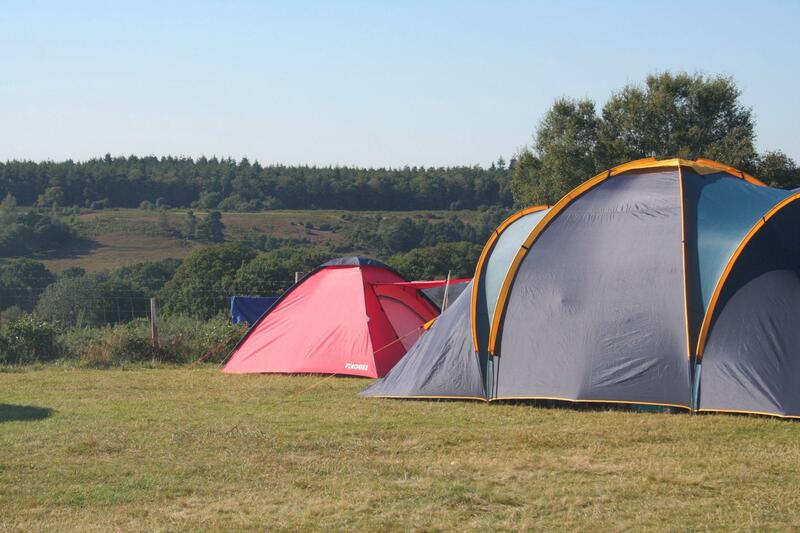 If you haven’t got your own tent, they have seven simply-furnished bell tents available for hire. 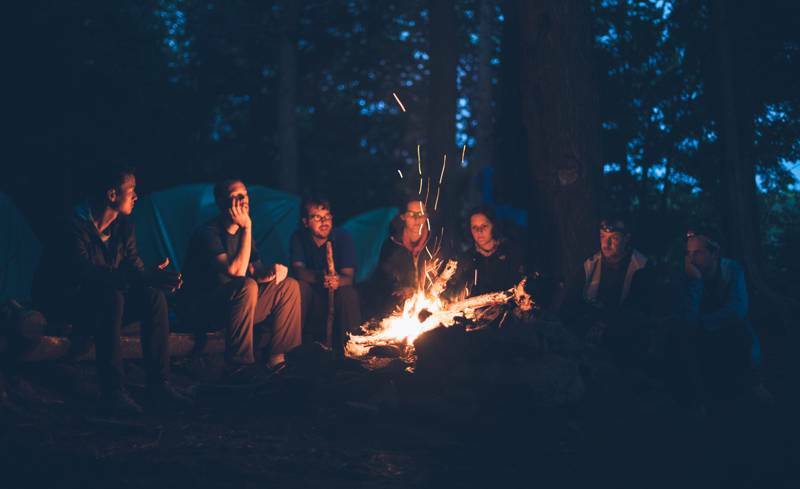 And if you want to come with friends – no problem; there are two woodland clearing pitches, large enough to site eight tents together around a central fire pit. 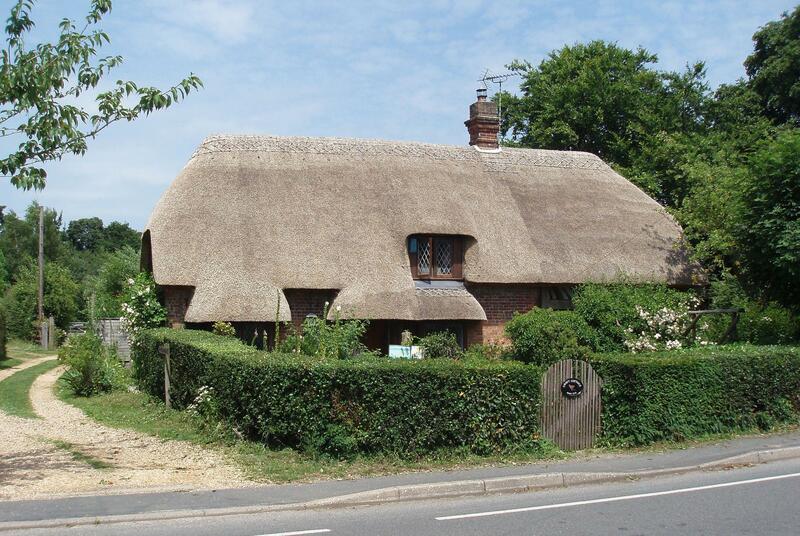 Situated in the rural village of Damerham, it’s within walking distance of a pub and cycling distance of the idyllic Hampshire village of Cranbourne. Open on summer weekends and Bank Holidays only, book early to secure your spot. Harry’s Field is, on the surface of things, just what it says; a field. But it’s a field in the New Forest where campfires are allowed, dogs are welcome and there’s an on-site shop selling all the basics. Oh – and it’s next door to a pub and just one-and-a-half miles from Fordingbridge where you can pick up supplies and picnic by the River Avon. Although the site’s 60 pitches and two bell tents are off grid, the campsite washing-up area also has electric kettles and a supply of tea for when you can’t wait for a campfire cuppa. You can tell that the Sheriff family who run the place have spent their fair share of time on campsites and know just what makes the perfect pitch. Another 28-day site, it’s open for selected weekends and Bank Holidays only. Couples and young families on the hunt for a magical glamping hideaway in the New Forest will love Fernwood Glamping. 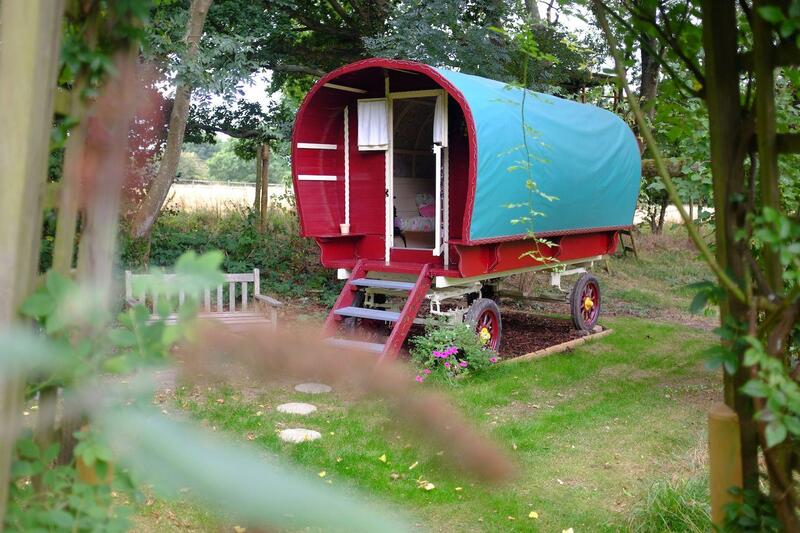 In a sheltered spot, tucked at the bottom of a country garden, are a shepherd’s hut and a gypsy wagon. Both are warmed by log burners, kitted out with made-up beds and lit by fairy lights. So far, so Snow White but add in the abundance of wildlife that’s found here and you’ll really start to feel like you’re in a fairy tale. Foxes and deer are regularly spotted and there’s a little pond that attracts birds and butterflies too. The site’s summerhouse overlooks the pond and, like the more rustic treehouse, doubles as a wildlife hide – with tea-making facilities and electricity to boot. Campfires are allowed in the provided fire pit with logs supplied. While most people naturally associate trees not beach with the New Forest, there is a 40-mile stretch of the national park that’s on the shoreline. 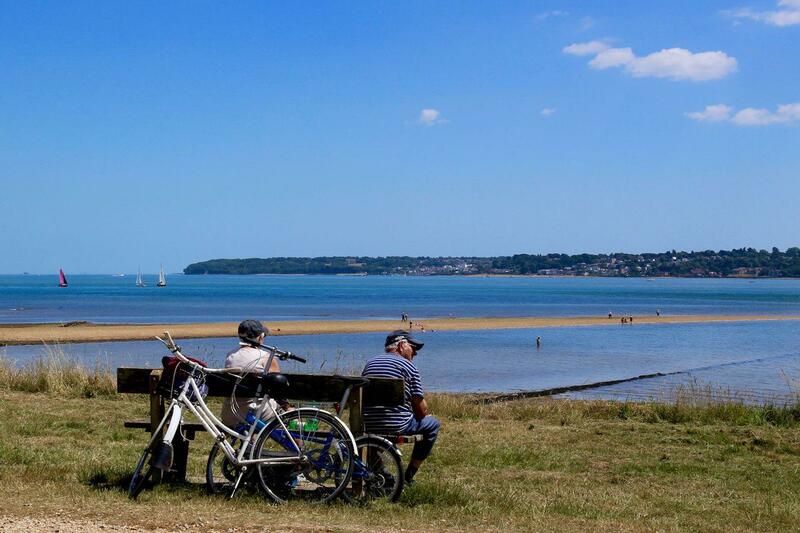 It’s within one of the most popular parts of this coast, just 150 yards inland, that you’ll find Lepe Beach Campsite. All of the 100 tent pitches here allow campfires and some offer views across the water towards the Isle of Wight; the lights of passing vessels adding a little extra sparkle to the starry night sky. The campsite backs on to Lepe Country Park where there’s a café, play area, visitor centre, walks and wildlife watching. On the southern side of the national park it’s not far to Buckler’s Hard, Beaulieu and Paulton’s Park. 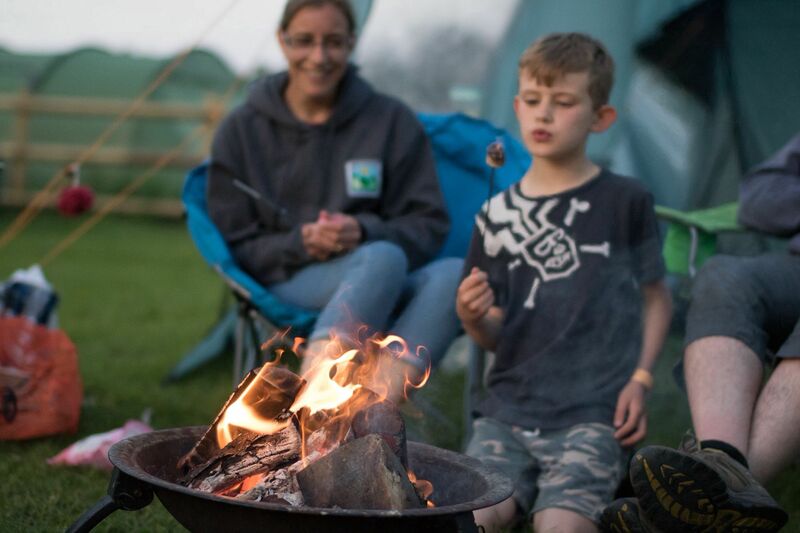 A pop-up campsite with campfires allowed, Dot’s Camping welcomes people with their own tents, campervans or motorhomes – and there are a couple of kitted-out bell tents too. 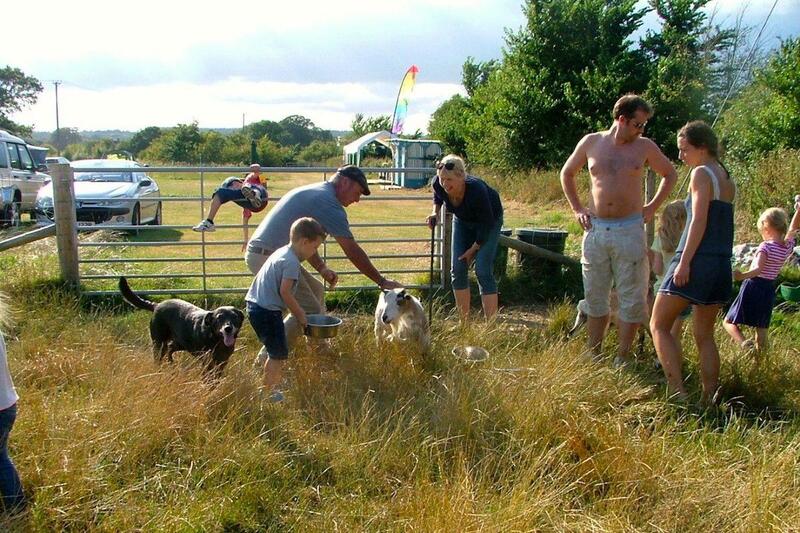 Well-behaved dogs are welcome and kids will be in their element, with kune kune pigs and cute pygmy goats on site. Opening on selected Bank Holidays and summer weekends only, it has simple but spotless facilities which include flushing loos, hot showers, a covered washing-up area and a freezer for ice packs. Dot’s is just a mile-and-a-half from Fordingbridge and has a couple of pubs within walking distance. Campers couldn’t really ask for a better location since Tom’s Field occupies one they chose themselves. Opened after repeated requests from people looking for a perfect place to pitch up for the night, Tom’s Field offers incredible views over New Forest heathland. It’s in the north-west of the park so it’s got an easy-to-reach location but you’ll know you’ve arrived in the New Forest when you encounter the free-roaming ponies in the nearby village of Godshill. Getting out to explore the forest from the separated family and adults-only pitches at Tom’s Field is easy. With footpaths and cycle routes on the doorstep, you can just pull your walking boots or hop on your bike and set out to discover 150 miles of protected moorland and forest. 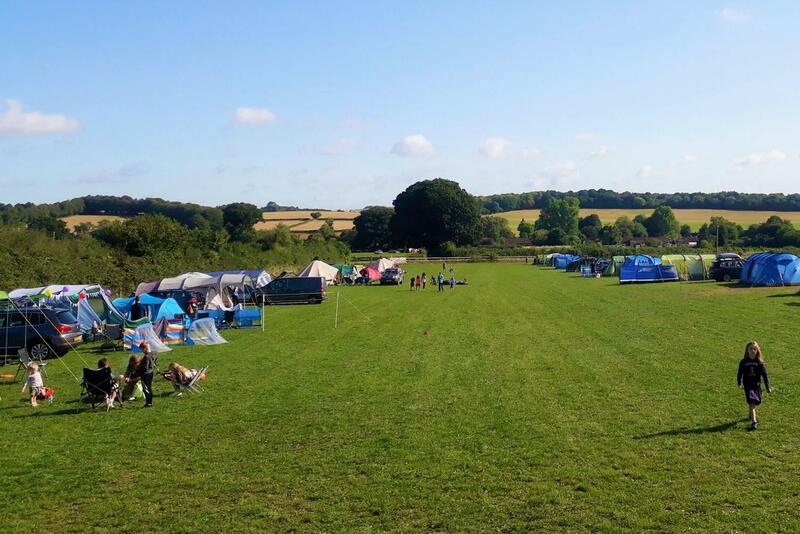 Maple Field Camping may be just outside the New Forest, but it’s within the Cranbourne Chase Area of Outstanding Natural Beauty – and a national nature reserve too. 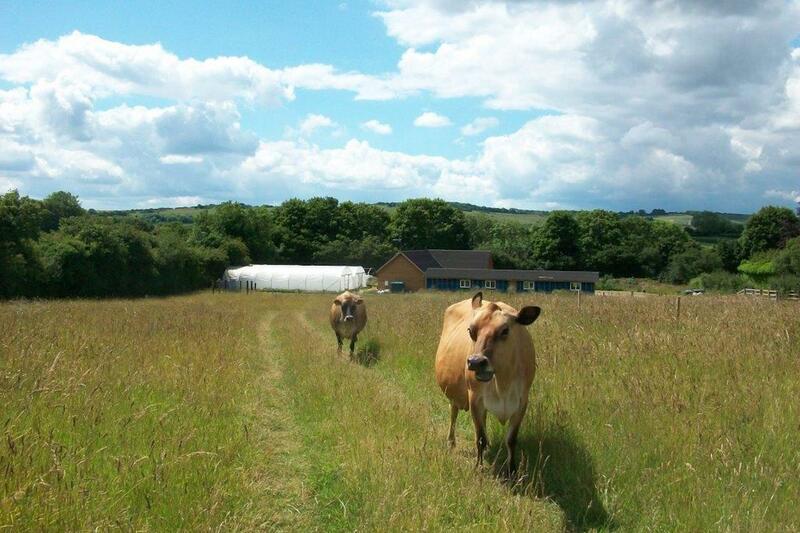 Martin Down offers 1,000 acres of chalk grassland that’s a haven for wildflowers, birds and butterflies. 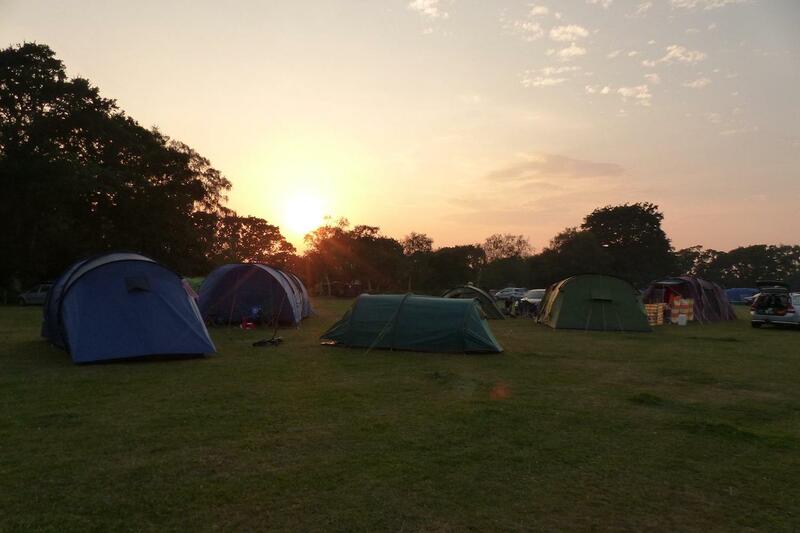 Pitch your tent at Maple Field during one of its camping weekends and you’ll be one of the lucky few among it. There are 40 informal pitches in the camping meadow along with two unfurnished bell tents and an unfurnished shepherd’s hut. A sociable atmosphere is helped along with a communal campfire area, shared campers’ kitchen and a barn that’s available for use in bad weather. It’s just three miles to Fordingbridge, the northern gateway to the New Forest National Park. If the New Forest ponies are one of the things that’s tempting you to Hampshire – how about camping at Muddycreek Farm? This delightfully-named campsite is on a New Forest Pony Farm and has links to stables where you can go for a ride. It’s just south of the national park at Milford-on-Sea and offers camping with campfires, as long as you use an off-ground fire pit. It has 60 pitches for tents and campervans and opens in August only. Ten minutes’ walk from the village of Milford-on-Sea, it’s just a little further to the shingle beach beyond. There are lovely coastal walks here and as it’s a short drive into the national park, you’re not far from woodland ones either. You won’t find many better places than Teddy’s Farm for flame-grilling lamb burgers. Not only is Battramsley Farm (as it’s officially known) a working sheep farm but there’s a log business on site too. It’s no wonder then that Teddy’s Farm campsite is a campfire-friendly place. Opening in August only, there are two camping fields. Within them you can pitch where you like. There are composting loos, hot showers and water taps but no electric hook ups. Dogs are allowed but caravans and motorhomes are not. It’ll take you 10 minutes to walk from farm to forest and just five minutes in the car to the historic port town of Lymington. Another 28-day New Forest campsite which opens for August only, Croft Cottage Camping sets itself apart with a family atmosphere that’s one of a kind. There are two camping areas; the quiet, adults-only one and the fun, family one – all tucked in an acre behind a pretty thatched cottage. The family camping area is the campsite proper. Here, 15 pitches are laid out around the perimeter with an area for games in the middle. Volleyball, basketball and football equipment is provided and there’s a small climbing frame too. If you think the grown-ups are missing out- don’t worry. The adults-only camping area has its own attraction; alpacas. There are just three peaceful pitches here and, understandably, no dogs allowed.